> Wigs>U Part Wig>Middle Part>Wavy /Curly>Middle U-Part Wig, "Curly"
This is a great, convenient and low-cost option which allows you to attain the look and finish of a sew-on weave in 5 minutes. This U part wig is good for people who are tired of wearing full wig or weave. Please note that delivery for this product will take between 15 and 21 working days. By buying this product you can collect up to 52 loyalty points. Your cart will total 52 loyalty points that can be converted into a voucher of R104.00. Usage Can be curled, straightened, tongued, washed and dyed. Lifetime More than 12 Months (depending on your lifestyle and how you look after it). Our U-Part Wig "Middle Part" is also referred to as 3/4 wig and allows you to incorporate your own hair through a U-shaped opening at the front of of the wig. Thus, you can use your own hair to make a natural part and expose your scalp, for a very natural look. 100% Remy Virgin Indian Human Hair. This is a great, convenient and low-cost option for those who like wearing weaves but don't like the hassle of hours of plaiting and sewing. Also, because the wig can be attached and removed quickly and easily, you can care for your own hair much better than when you are wearing a sew-in weave. The cap is wefted throughout using very thin machine-made wefts, except for the front at the U-shaped opening, where approximately one inch width of hair is hand-tied onto French lace front area for a more natural look. No more lumps and bumps! No gluing or sewing needed! Quick and easy to apply! Ultra thin wefts provide a smooth and lightweight feel! Fits securely with the help of combs and adjustable straps! Cheaper and much less time-consuming than a weave! Unlike with a sew-in, this allows for a flatter look and better blending of your own hair with the wig hair and prevents tracks from showing, because the wefts are hidden underneath the ventilated hair. You want to give your hair and scalp break from the strain of traditional sewn in weaves. You wear wig but are looking for a more believable look and finish. 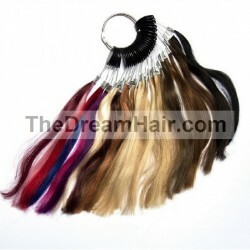 You want an instant new hair style and the flexibility to change your styles frequently and quickly. You want easy and complete access to your hair enabling you to cleanse and care for it regularly. How to care for U-Part Wig "Curly"
Detangle hair from root to end before shampooing. Carefully wash in cold water with mild shampoo. Do not rub or twist, but gently finger comb the hair. Rinse the shampoo. Always rinse the shampoo off with water flowing in the same direction of the hair, from roots to the ends. And after use conditioner and rinse the hair out in a similar way. Pat dry with a towel and do not rub or roll the hair. Air dry or blow dry with a diffuser or as recommended by your stylist. Styling tools should only be used when hair is completely dry.